He's spoiling us: On Thursday, Zayn Malik dropped "Like I Would," another new song from his forthcoming debut album, Mind of Mine (due out March 25). If you haven't been following the 23-year-old artist's foray into solo stardom, "Like I Would" is the third track he's released so far in 2016; Mind of Mine's lead single, "Pillowtalk," arrived at the end of January, and a ballad called "It's You" dropped at the end of February. In contrast to the material we'd previously heard from Malik, "Like I Would" is an up-tempo number with prominent funk influences. (In some ways, it reminds me of The Weeknd's 2015 smash hit, "Can't Feel My Face.") Now that the new tune has arrived, fans of the former One Direction singer are wondering how they can hear it/bask in its glory all day long. 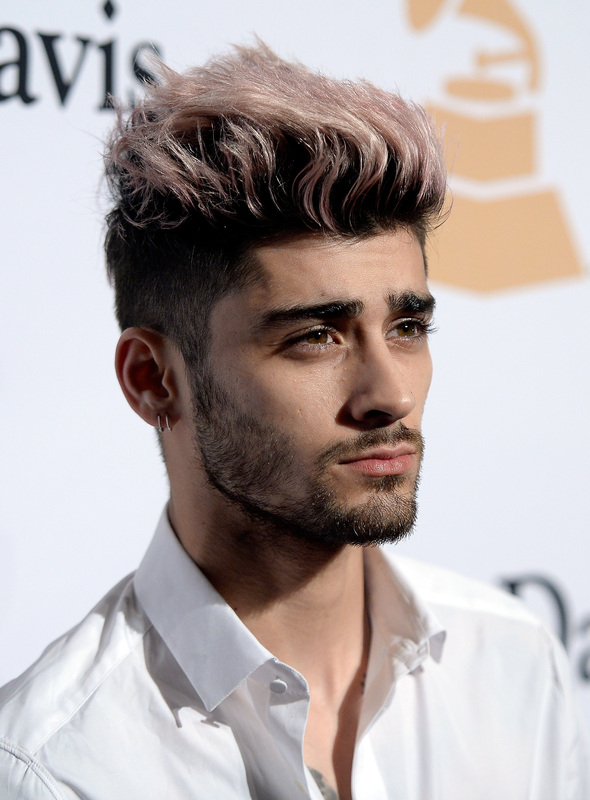 Is Zayn Malik's "Like I Would" on Spotify? It's your lucky day, Lil' Zaynsters: As of Thursday morning, "Like I Would" is available on the popular music streaming service. So, is it any good? Short answer: Yes! Slightly longer answer: It's cute, for sure — but it's no "Pillowtalk," if you know what I mean. (Sadly, I haven't been able to get into "It's You" yet.) Check out "Like I Would" for yourself below. Mind of Mine is shaping up to be an interesting collection. Not only is the LP's material a major departure from what Malik recorded with 1D (which, when you consider what he's said about the band's music in recent interviews, isn't all that surprising), it's also a little different from what's popular on the radio right now. Thus far, these risks have paid off, as "Pillowtalk" debuted at No. 1 on the Billboard Hot 100 chart shortly after its release. That's quite an accomplishment — especially for an artist's first single. I'm definitely curious to hear more from Malik.